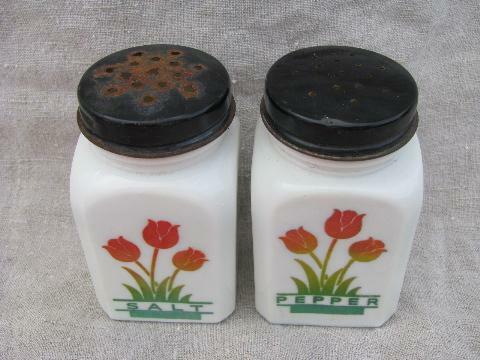 Pair of vintage 1930s kitchen glass salt and pepper shakers, cute, colorful tulip pattern! 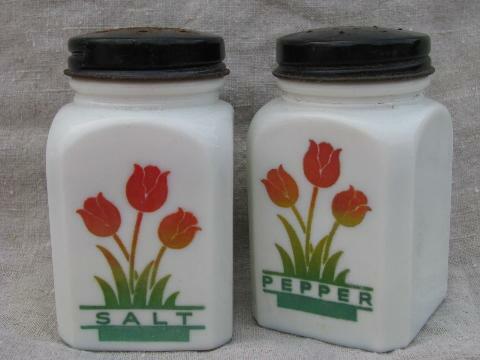 These are 3 1/4" tall. 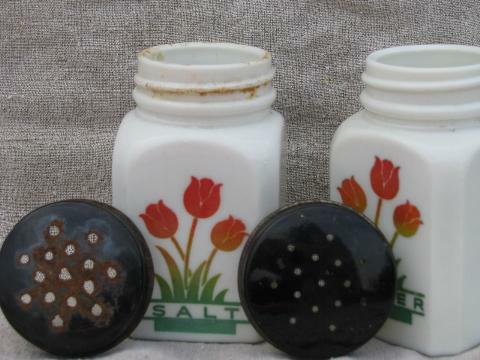 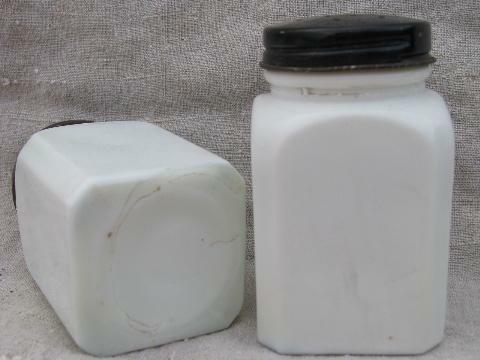 Both jars are in very good condition without chips, or wear to the design. 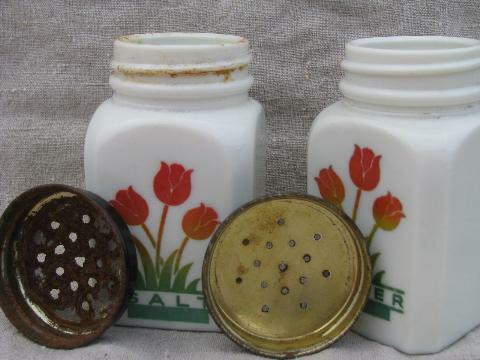 Both have rusting to the metal lids in varying degrees.